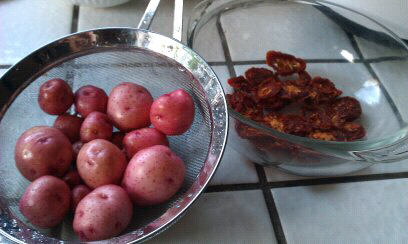 Red potatoes - just dug up this afternoon. Roma tomatoes - dried at the end of last summer. About to meet each other with some red lentils, carrots, onion, and celery in an end-of-long-hard-day soup. Still feels like a magic trick!